By selling through sound education and honesty instead of fear-based tactics. Treating customers with respect, and respecting their wishes. Arriving to short-windowed appointments on-time, clean, and ready for work. Treating every home or office as if it were my own. Using only the pesticides necessary to get the job at hand done right the first time, and nothing more. These statements insinuate to customers that the treatments are safe. And I believe that it insinuates to pest control technicians that because they are “safe” it is okay to use as much as they want. I’ll never forget seeing my supervisor at a previous company applying insecticides without wearing gloves, when the label clearly stated that gloves were required as the personal protective equipment. When asked why he wasn’t wearing the protection, he just looked at me like I was crazy. Overall, the pesticides we use today are much less toxic than the chemicals I used 20 years ago. But it doesn’t mean you should have your house power-washed or your lawn flooded with insecticide. Large quantities of these chemicals, like all household chemicals, can be toxic to us, our families, and our pets. When I began my career in pest control, I worked for a company that was among the first to implement Integrated Pest Management Techniques. According to the Purdue University’s IPM Technical Resource Center, Integrated Pest Management techniques are “An ecological approach to pest management that effectively manages pests in a way that minimizes adverse effects on people and the environment.” As you might imagine, pest techs didn’t exactly welcome this philosophy twenty years ago. But once we realized that using fewer chemicals and safer practices were effective, we gradually began to see the light. 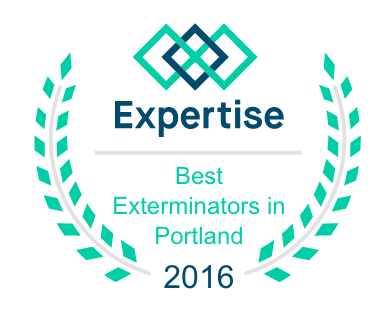 Hopefully this explains why it’s so difficult to answer if Exodus Pest Control is green. I’ve been doing it this way for so long, it feels silly to go and jump on a bandwagon. We use the same chemicals the “green” companies are using, but fewer of them, and very rarely inside the living space of your home. Your safety is our number one concern.